Free! is such a hilarious show full of fanservice. This song is so much fun. Piano accomp. version coming right up! Please show your support for my work here and give me some stars! Thanks. So...I'm back from my holiday overseas. During that time I've seemingly had plenty of time to actually play the games I downloaded on my Android devices. 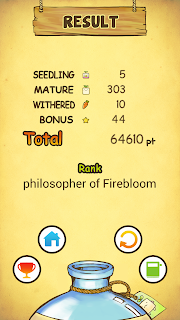 First up, Mandora. 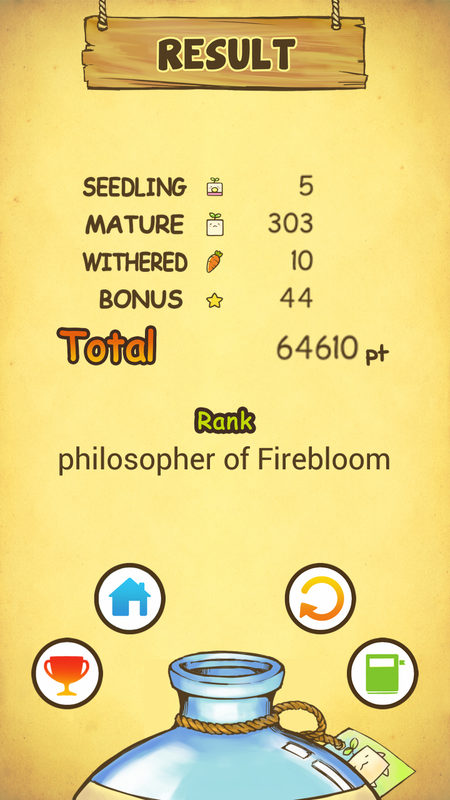 Mandora is a simple, yet challenging game. Your aim is to pluck 'Mandoras' from the ground when they are ripe. Each 'Mandora' grows quickly so your timing has to be perfect or else they will wither and you will break your combo. There are also special 'Mandoras' which you can pluck to gain additional bonus points that contribute to your overall score. It is a fast placed game and you got to think quick to keep on getting the combo or else you will break your score. Overall, it is quite the addictive game and fun to play! Next up, I've picked up Fruit Ninja again. Those long waits at the shopping center allowed me to concentrate hard on slicing those fruits. Not only that, I've been trying to unlock all the blades and backgrounds (which I have yet to do so and will probably give up on). Fruit Ninja is a classic and I'm sure nearly everyone that owns a smartphone would know what that game is about. Next is Plants vs. Zombies. The tower defence game which isn't a tower defence...well...sort of. You have lanes in which you defend your backyard (or whatever location you are on) against the zombie invasion. To do that you plant 'Plants' that shoots peas, grows suns (currency in game) and the like. Each levels gets more challenging than previous. There are also some fun mini games and challenge games when you need to take a break from the norm. Finally, I downloaded and tried the new Despicable Me game called Minion Rush. Essentially from what I've heard, the game is pretty much similar to Subway Surfers. You run along a path whilst trying to collect coins and power-ups whilst avoiding obstacles. Pretty simple yet hard. Well that is all from my Holiday Android Gaming experience. I hope you find these games as fun and interesting as I did!